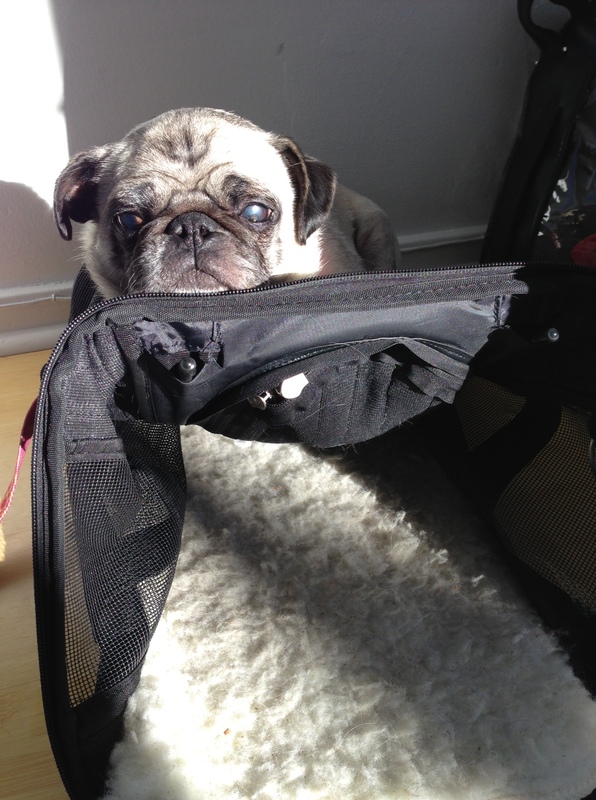 My adopted blind pug Bessie is hilarious. Over the almost two years we’ve had her, I’ve taken a million pictures of her. What can I say? She’s too cute! 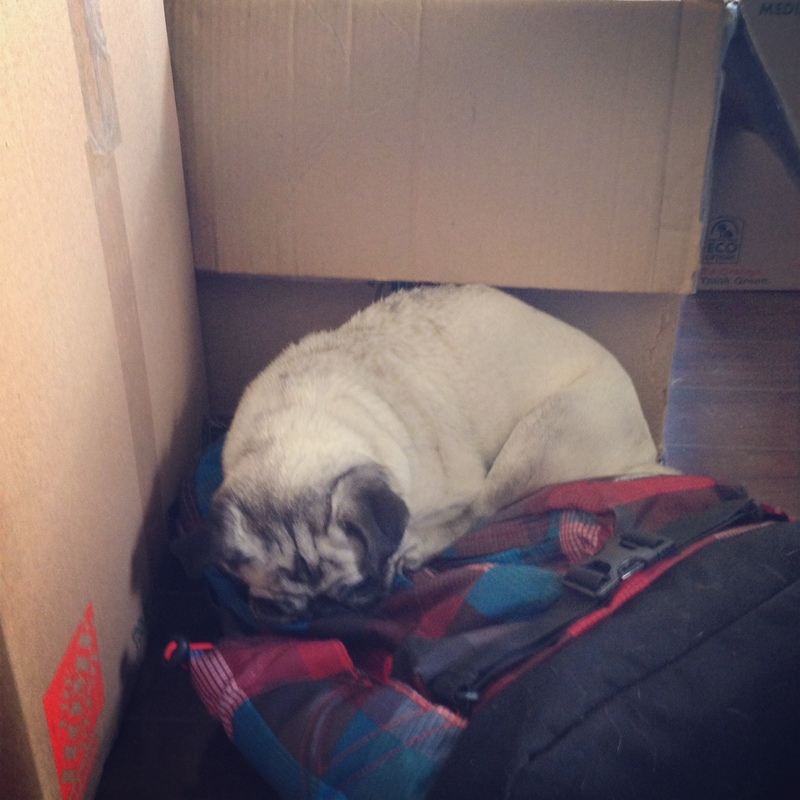 I have no idea how sleeping on a backpack or a carrier is comfortable. But Bessie thinks everything is a bed until proven otherwise. 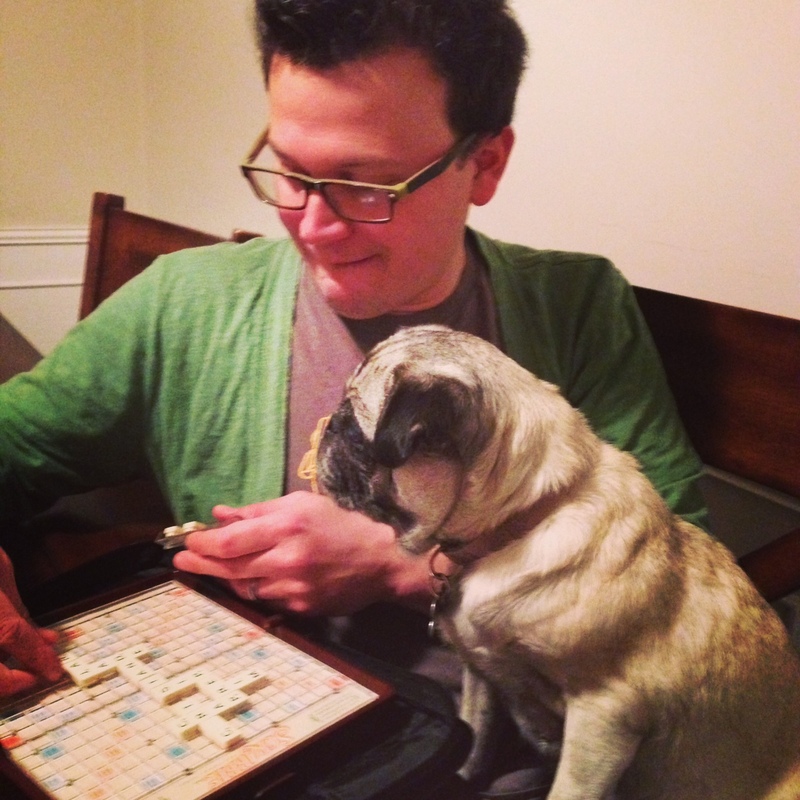 Assist your dad with his super hard Scrabble game. Help your mom with her writing. 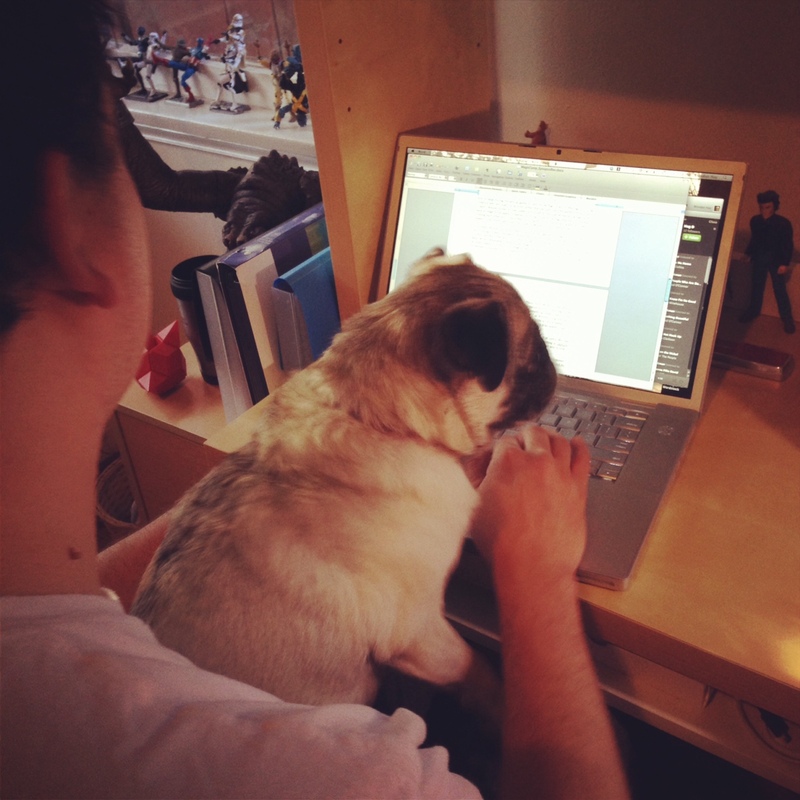 Clearly, that paragraph was not working for Bessie. She’s a tough editor. Pitch ideas for dad’s script rewrite. 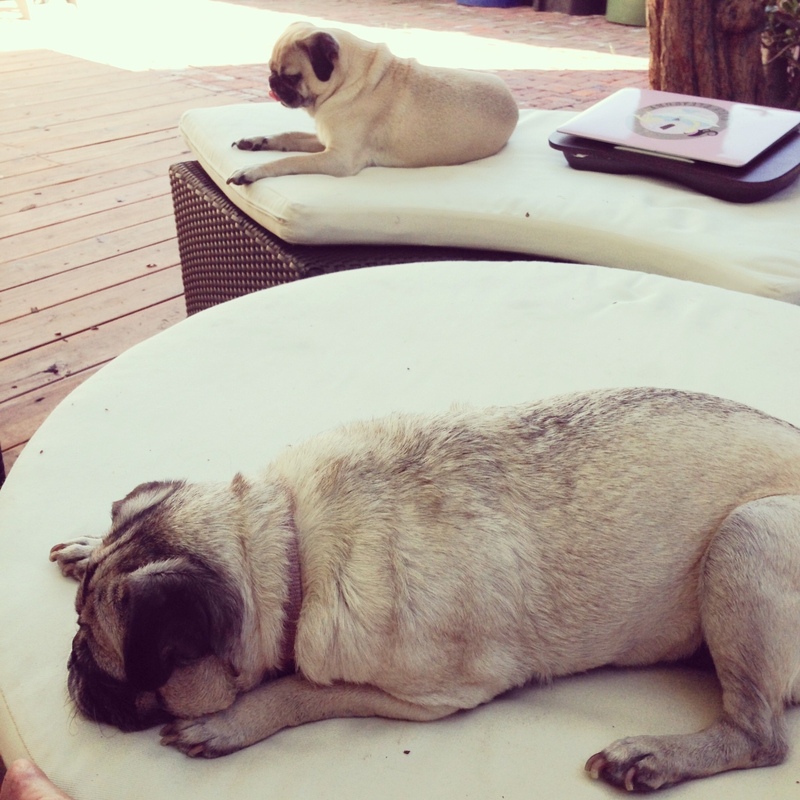 Bessie’s boyfriend, Sampson Dworkin, and Bessie chilling while their moms work. 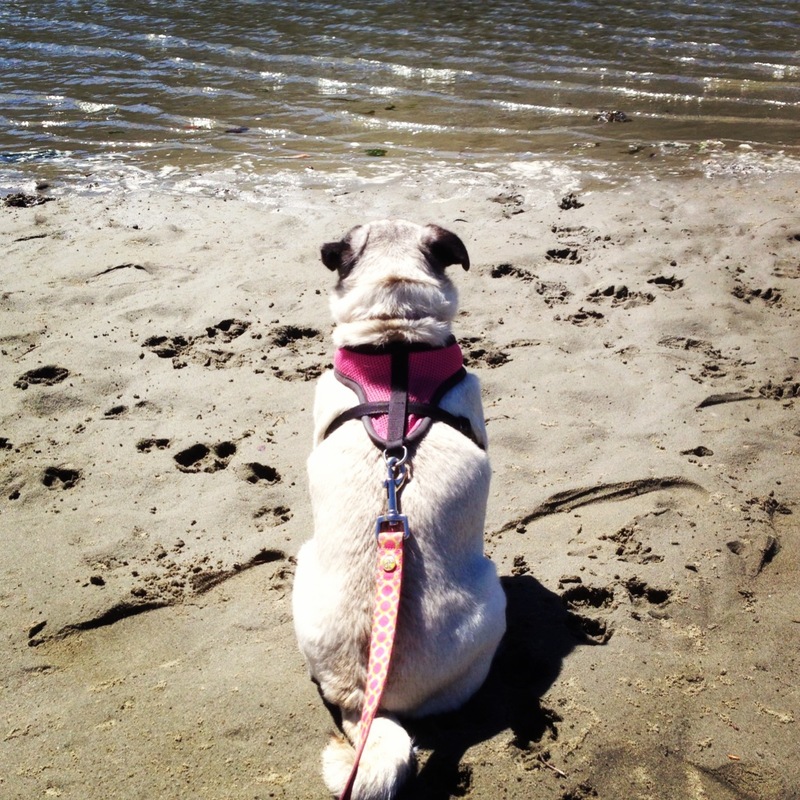 Bessie on vacation in Mendocino, CA. Bessie loves to sleep in the sun. 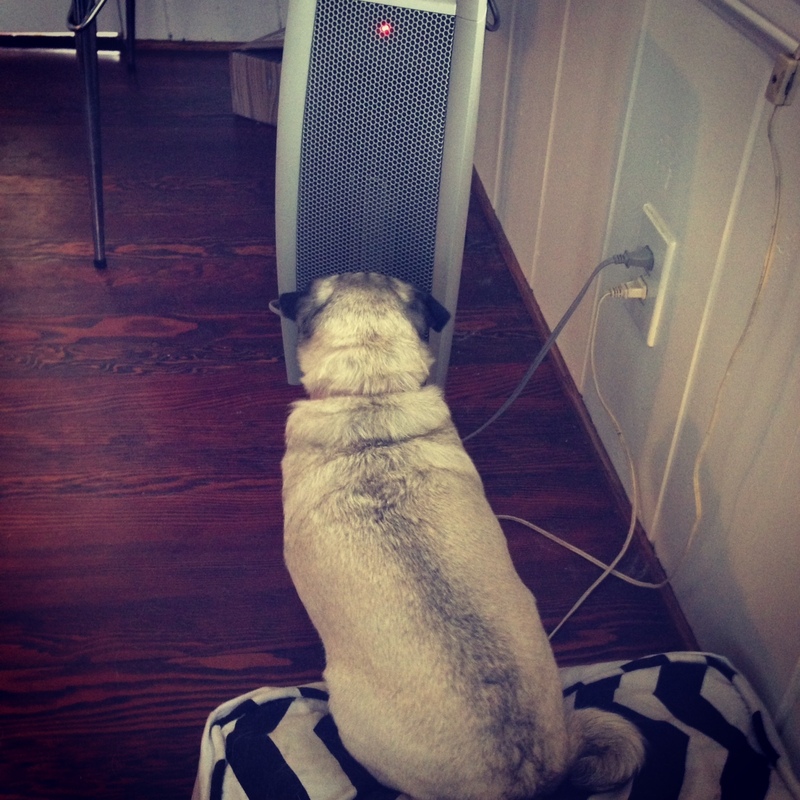 On the rare days when it’s not sunny in LA, she likes to sit in front of a space heater to stay warm. Our pet sitter captured Bessie begging for a belly rub. Who could resist? 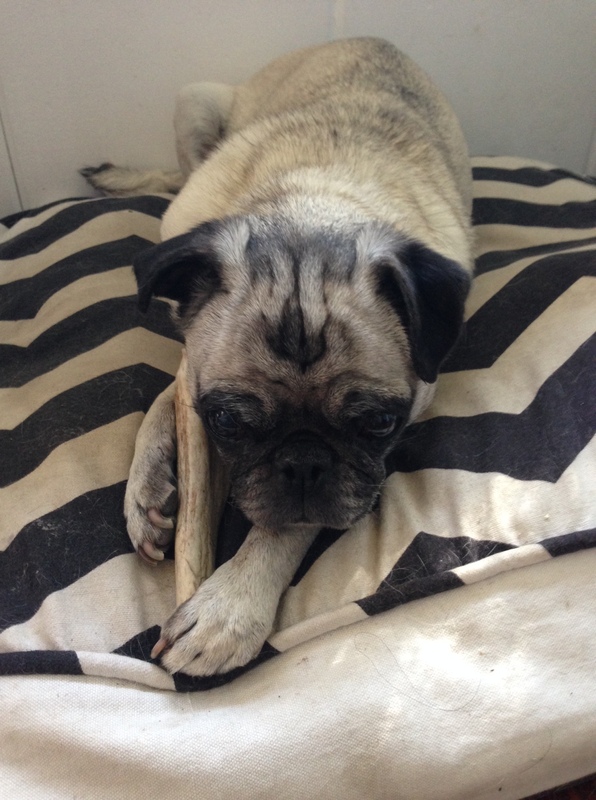 Aren’t pugs the best? 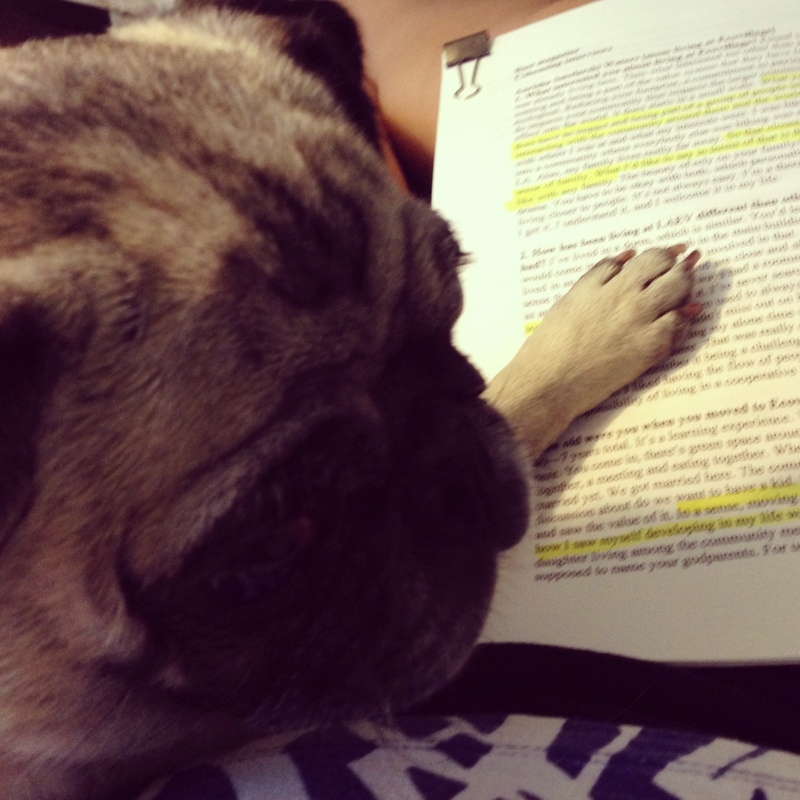 Pugs and their silly personalities make me want to jump into a ball pit and go crazy. OH, this guy beat me to it. Click on the GIF for the original video. Thank you, Angie! She is the love of my life (along with my other pup and cat). I’m so glad! I’m happy to answer any questions you have. There’s definitely an adjustment, but mostly for me. Bessie maps out a room and then knows where everything is, so I don’t move furniture. Dogs and cats adapt so well to their new lives. Much better than we do! Thank you ! I hope and pray that it doesn’t happen. Being allergic to cats, I can’t comment on them. But what I do know is that a dog’s love is so unconditional and true. All they want is to love and be loved. And when it comes right down to it, what more could you ask for?